Arlington is already home to the Dallas Cowboys, the Texas Rangers, and the one and only International Bowling Museum & Hall of Fame. 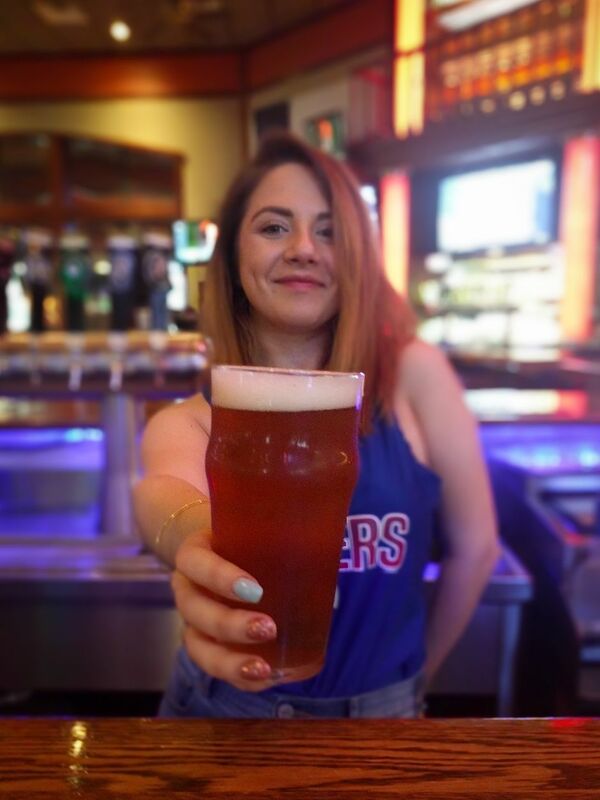 But you don’t just come to Arlington for the sports stuff…you come for some of the best craft beer in Texas. For years, Texas had some of the most restrictive beer laws in the nation, but that started to change in 2013 when lawmakers softened regulations on small breweries. These days, an entirely new beer culture flourishes in the Lone Star State. And whether you’re a homebrewer, a serious connoisseur, or a lightweight looking for the lightest wheat ale you can find, you’ll find it all in Arlington’s craft brew scene. Here’s what’s on tap. This place started it all. 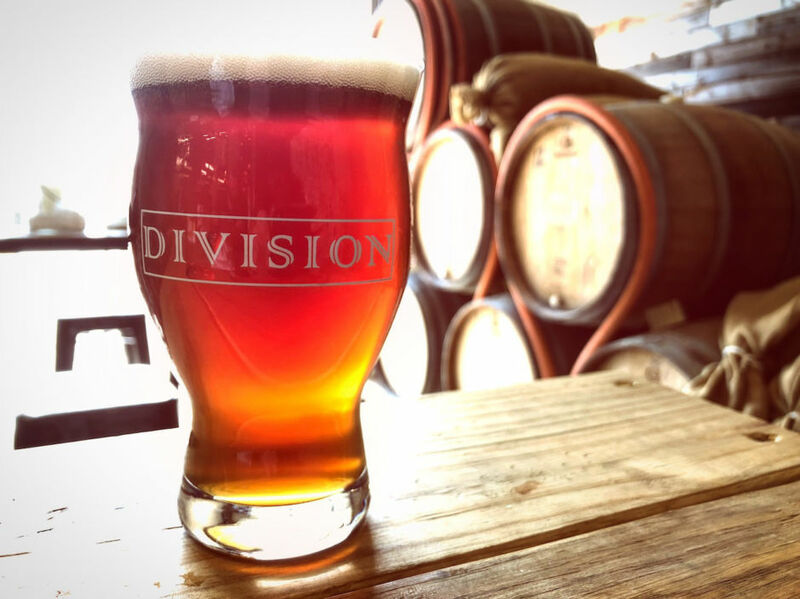 Division was the city’s only locally owned brewery when it opened in late 2015 (with a New Year’s Eve bash, no less), paving the way for Arlington’s newest foodie/craft/entertainment niche. And founders Wade and Tami Wadlington, a husband-and-wife team, along with friend Sean Cooley, keep the homebrew vibe going strong no matter how many accolades they receive. 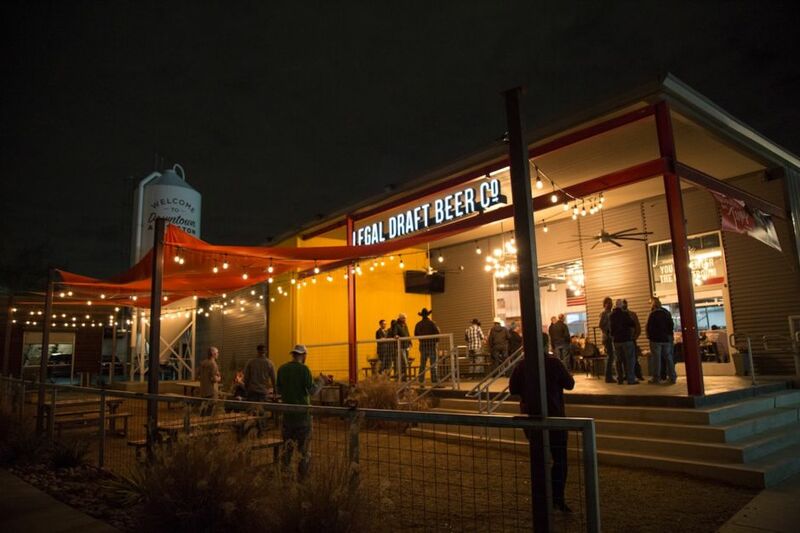 Division’s outdoor hangout area is a place where you can bring your dog — your kids even — and experience some of the most creative hand-crafted brews in the DFW area. This is where you sit down at the taproom’s bar next to the guy who brewed the beer you’re drinking. Consider it Arlington’s Cheers. FrankenFroth Double IPA – a crowd favorite created with a simple two-row barley and lotsa, lotsa hops. Because it’s a double IPA, there’s a malty balance to the typical bitter kick of the hops, making for a tasty finish. Rosalee – a fruity witbier made with an in-house Saison culture, and yes, you’re detecting hints of hibiscus and orange peel (they’re infused in the brew). This is Division’s first bottle-conditioned release, which basically means they add some sweetener during packaging to get the bubbles going, and voilà…natural carbonation right there in the bottle. Xmas Morning – a porter with so many delicious notes rolled in that your tastebuds won’t know where to start. There’s cold-pressed coffee, yes, but there’s also coconut, and Hershey’s cocoa. Needless to say, it’s perfect for cold weather (though that can be hard to find in Arlington), in place of dessert, or, you know, just because. You’ve got to check out Legal Draft Beer Co., if not for their Donuts & Drafts pairing (yeah), simply for the artwork on the cans. Seriously, Legal has some of the cleverest packaging in the state. The brewery is housed in a former car dealership that attracts big crowds into its welcoming taproom and beer garden, featuring its five flagship brews. And yes, a former attorney founded the place — Greg McCarthy and logistics guy Curt Taylor opened the brewery in 2016 as Arlington’s first high-production brewery. Presumed Innocent IPA – described as an approachable American IPA with a bright citrus aroma from Cascade hops, though drinkers will tell you it’s got an unmistakable bitter finish. If you’re looking for a six-pack to take to a friend’s place, this is a reliable option. Legal Blonde Lager – the brewery’s most popular and widely available, a straw-colored Munich lager. Smooth and easy to drink, it’s good for long summer evenings (they’ll be here before you know it). You’ll even find this beauty sold at the ballpark where the Texas Rangers play ball (for now). Hung Jury Hefeweizen – a traditional weissbier that smells as good as it tastes. Brewed with orange peel and coriander, it’s just the right amount of sweet. It’s served unfiltered, but the real surprise is the slightest hint of banana in the flavor. If you have a personalized growler and/or a tailgating mission to fulfill, Kool Keg is your one-stop shop for craft beer, kegs, and margarita machines. They have 30 rotating taps at their growler bar, so you can find the exact brew you’re looking for, and they’ve got 300 kegs (pony kegs, too) in stock at any given time. There’s a little something of everything here, from local favorites to hard-to-find names from around the country and beyond. Sample a couple of things that interest you, and when you’ve found the winner, fill a growler to take home — or grab a keg to be your group’s tailgating superstar. And just in case you’re planning a longer stay in Arlington, you don’t have to worry about your growler beer going flat before you head home. Kool Keg’s Pegas CrafTap filling system supposedly maintains a growler’s freshness for up to three months. A good brew should be balanced by a good meal — and that good meal should be paired with a good brew (really, it’s an ouroboros of delight). Humperdink’s is known for super-fresh burgers and steaks, but you’ve also gotta try the armadillo eggs (if you can handle a little jalapeño!). They also brew onsite, and their Humperdinks Porter won gold at the 2017 Best Little Brewfest in Texas. J. Gilligan’s is worth a mention, too. They’re pretty much the ultimate sports bar — there’s even a shuttle to AT&T Stadium. But if you’re not there for the ride, you’re probably there for the beer and Irish Nachos. They’ve been featured on both Travel Channel and Food Network. That’s Arlington for you. Making headlines.